Shelby Rawn Chipman, Ph.D. is professor of music at Florida A&M University (FAMU). His responsibilities in the Department of Music include teaching Instrumental Music Education, Conducting, and assisting with coordinating student recitals and student teachers. Additionally, he serves as director of the Marching & Pep Bands, Wind Symphony, Symphonic Band, and String Ensemble. He is a native of Miami, where he graduated from Miami Northwestern Senior High. He received his Bachelor of Science degrees in Computer Science and Music Education from Florida A&M University, where he was conducting student of the late Dr. William P. Foster and Dr. Julian E. White. Professor Chipman completed his master’s degree in music education at the University of Illinois, and received his Ph.D. in music education from the Florida State University (FSU) College of Music, where he studied with Dr. Bentley Shellahamer. Dr. Chipman’s Dissertation concentration focused on “A Survey of Perceptions of At-Risk Students by Secondary School Band Directors.” He continues to research present on educator challenges with teaching in Urban School Districts. Prior to his appointment at FAMU, he taught music in the Miami-Dade County Public School system for 10 years. His band program at Miami Central High School developed into one of the finest band programs in the country. As much as a teacher as he was a musician, Dr. Chipman was named Teacher of the Year during the 1993-94 school year. Under his leadership the Rocket Marching band performed in the 1993, 1995, and 1997 King Orange Jamboree Parades, 1993 Heritage Festival (New Orleans), 1990-96 FAMU’s Homecoming Festivals (Tallahassee, Fla.), 1992-97 MLK Parades & Festival (St. Petersburg, Fla.), 1997 Macy’s Day Parade (New York City), and numerous other marching events. The Miami Central High School Symphonic Band performed at the prestigious Bands of America National Concert Festival in Indianapolis, IN. During his tenure in Miami-Dade County Public Schools, he served as district secretary, chairman, ethics, all state, and the executive board of Florida Bandmasters Association. Dr. Chipman is a member of Kappa Kappa Psi Band Fraternity, Phi Mu Alpha Sinfonia Music Fraternity, Kappa Alpha Psi Fraternity, Music Educators National Conference (MENC), Florida Music Educators Association (FMEA), Florida Bandmasters Association (FBA), College Band Directors National Conference (CBDNA), Florida Music Education Association (FMEA) Multicultural Network, and Bethel AME Church (Tallahassee). He has coordinated numerous band festivals and had the pleasure of working with James Croft, James, Keene, Andre Thomas, Jim Sparks, Gary Green, Anthony Maiello, Alex Jimenez, and Eugene Corporon, who represent some of the finest conductors in the world. In addition to working with these outstanding conductors, Dr. Chipman has presented music education and conducting clinics on several public school and college campuses, as well as given lectures at the FMEA conference, TMEA in San Antonio, TX, and Mid-West Band & Orchestra Clinic in Chicago, IL. He currently serves as the Collegiate Advisor of Florida National Association for Music Education (NAfME) of the Florida Music Education Association, the Southern Division: NAfME Advisor of thirteen states and is an active adjudicator and clinician throughout the Southeastern United States and currently serves as music director/conductor of the Tallahassee Big Bend Community Orchestra, as well as the Florida collegiate advisor for the National Association for Music Education (NAfME). The Florida A&M University Wind Symphony and Symphonic Bands perform regularly on campus during the fall and spring semesters as well as at divisional, national, and professional music conferences. Under his direction, wind symphony has performed at the Florida Music Educators Association Conference in Tampa, Florida, Carnegie Hall, New York City, and has been invited to perform at the Kennedy Center in Washington, DC. Dr. Chipman has published numerous articles and completed research in the areas of instrumental conducting, at-risk student success and the student teaching experience. 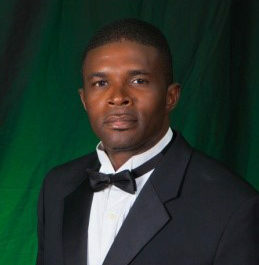 His Dissertation focused on “A Survey of Perceptions of At-Risk Students by Florida Secondary School Band Directors.” He has also published articles in the Florida Music Director on Band Director Success and will be featured in the fall publication of the Historically Black Colleges and Universities (HBCU) Band Director Marching Band Digest.